Photography blog by Nora Vrubļevska: Why night? Oftentimes I am asked why do I photograph at night. 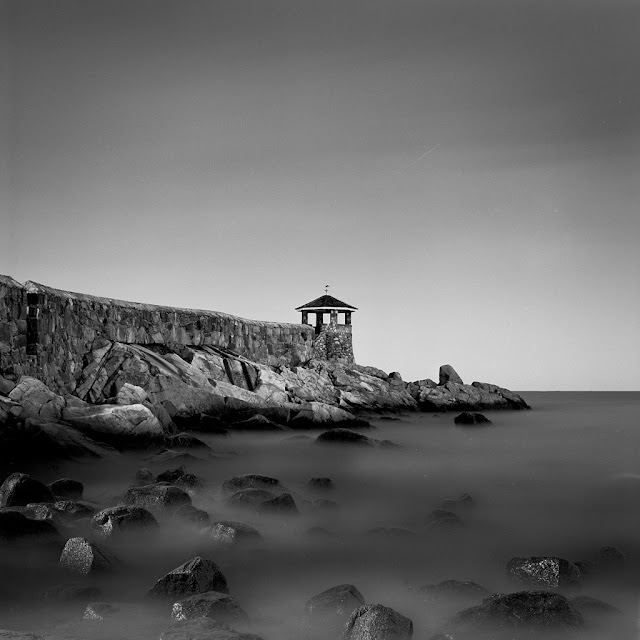 I try to explain that I'm really fascinated by the mood that long exposures create. And there's just something about slowing down, having to setup the shot and wait, not knowing exactly what might happen during the exposure. Of course with practice you learn what kind of things could happen (for example, with clouds, stars, water, moving trees) but there's always a little bit of mystery that's out of our control. To demonstrate I wanted to show you a comparison. 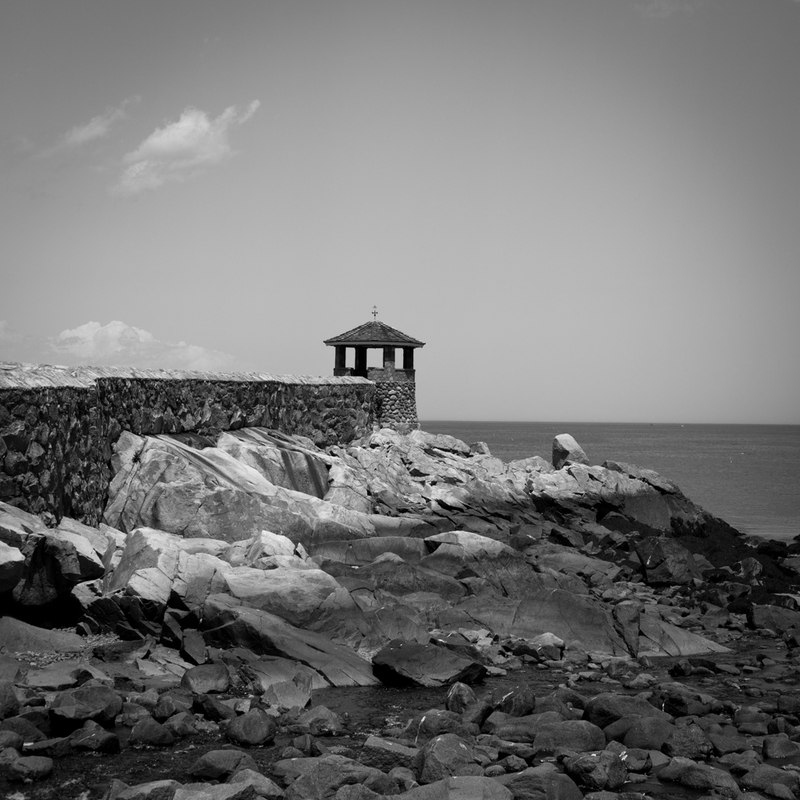 This week I revisited Rockport where I've photographed quite a bit off-season and at night. Here are two images of the gazebo on Front Beach - the first is an exposure of 1/640 of a second taken on a sunny mid-day and the second is a 30 minute exposure taken at night during full moon. The solid structures will be sharp in both photos because I always make sure to use a sturdy tripod and focus well. When I was on the beach at night I knew the waves would not stay steady and here you go - they look like mist due to the waves hitting the rocks many, many times during the long exposure. Plus, you'll notice the difference between the fluffy clouds "frozen" in mid-day sky versus the smooth night sky. What do you think?